Whether you have a classic car that you are restoring, a modern car that you are customizing, or anything in between, you are likely doing some form of re-painting to it. We understand that there are many options you can take for your paint job. For example, you can use simple rattle can spray paints in both lacquer and enamel, oil-based high alkyd enamels, or two part automotive paints, just to name a few. 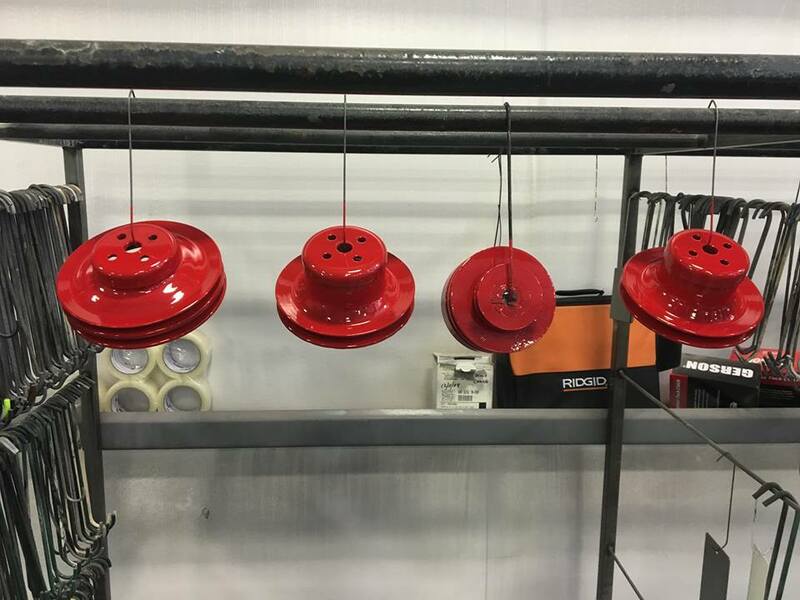 But, nothing beats the durability or maintenance-free qualities of powder coating, and we at Hanover Powder Coating provide the most reliable powder coating in the Richmond and Ashland, Virginia areas. Like most people, you probably have some questions, and we are here to get you answers. When restoring a car part you can refinish in one of three ways. We call it the three P’s. 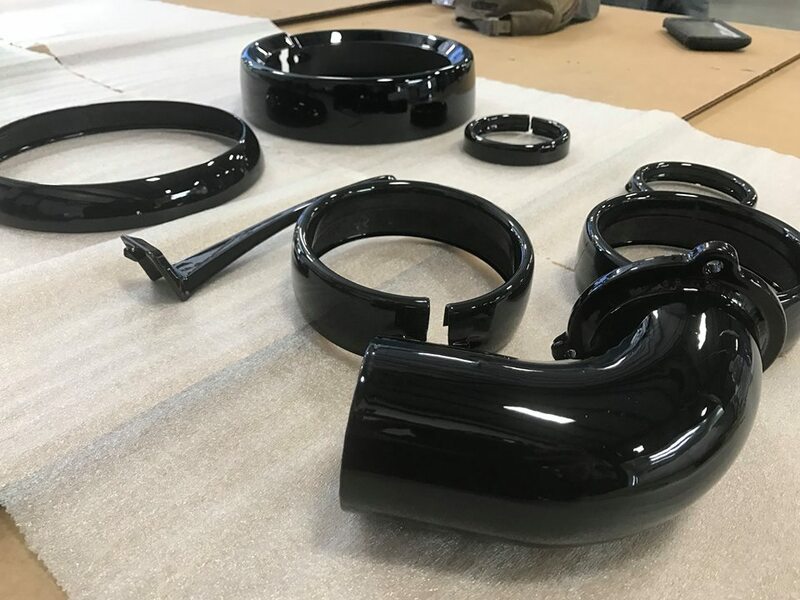 Powder coating once carried a stigma that it limited the restorers and customizers painting options for auto parts; however, today powder coating comes in so many colors, shades, and textures, that it can match the majority of any finish. 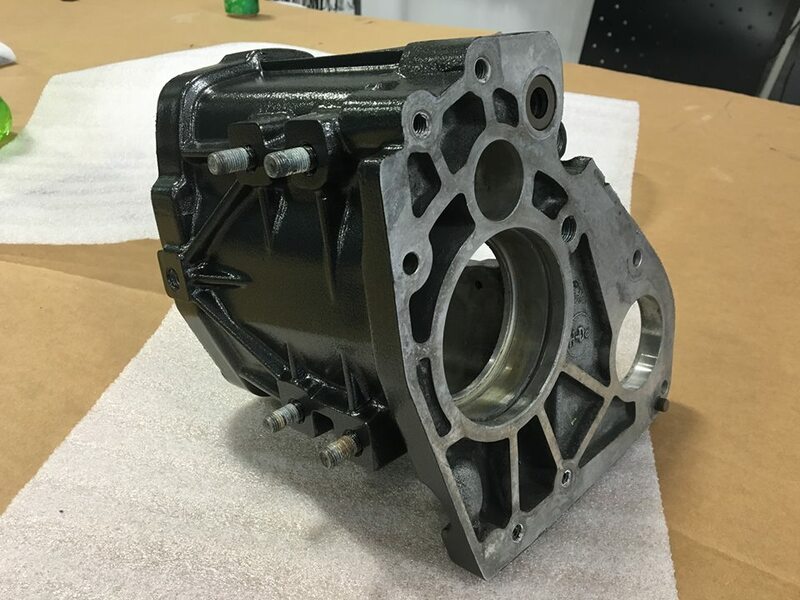 Even the most particular numbers matching concourse quality restorations can benefit from powder coating of the auto parts as today’s powder coating can be used to match those original finishes. The average car has about 30,000 parts to it including the big stuff like fenders and doors as well as each individual screw or clip. 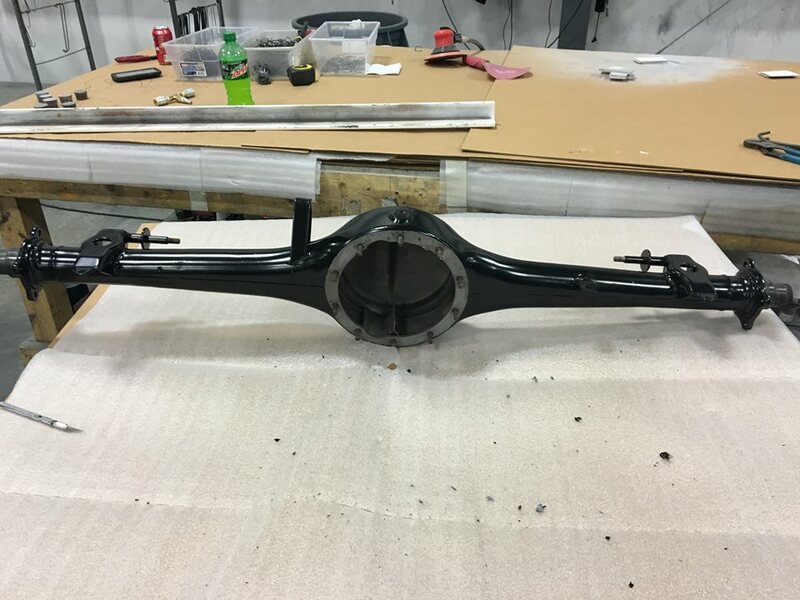 When doing a car restoration or even a customization, the majority of those 30,000 parts will need to be removed, cleaned, and sandblasted when needed and re-coated. For the restorers, some pieces, such as bumpers and trim, will be plated, and the rest of the parts will need to be coated. So what are your options? You can spray paint all those parts which is cheap and easy to apply. BUT spray paint quickly looses its luster in a restoration, leaving it looking cheap, and its will eventually succumb to the elements and start to scratch chip and flake. The next best option is to use a two part (2K) automotive paint. This will provide durability for your automobile, as well as an easy match with the factory coatings. The paint will also prevent rust from forming underneath of it for many years. BUT this type of paint is expensive, takes a lot of preparation to make a durable finish, and it will need proper spray equipment to apply and a booth to paint it in. Assuming you do not want to paint every single thing in your car one color, you will have to order a pint or quart of each color. A pint of paint runs about $30 for a good brand, plus hardener for another $30. You also need to consider sheen – flat, semi-gloss, or really glossy- each requiring a different clear coats right there. The costs can easily add up to over $100 for each color or gloss-level that you want for your parts. Now after you buy all these paint materials, you must apply several coats primer, paint, clear all while waiting and cleaning out your paint gun in-between. It is very labor intensive and you will spend a lot of time to paint just the one little bracket above. You can paint parts in batches to save time, but you are still looking at a full day worth of work. Powder coating looks great, is extremely durable, and protects the metal from rust. You can drop off as many car parts as you need to with Hanover Powder Coating. We can blast and coat them in as many colors as you want without having to purchase extra material that you don’t need and will never use. 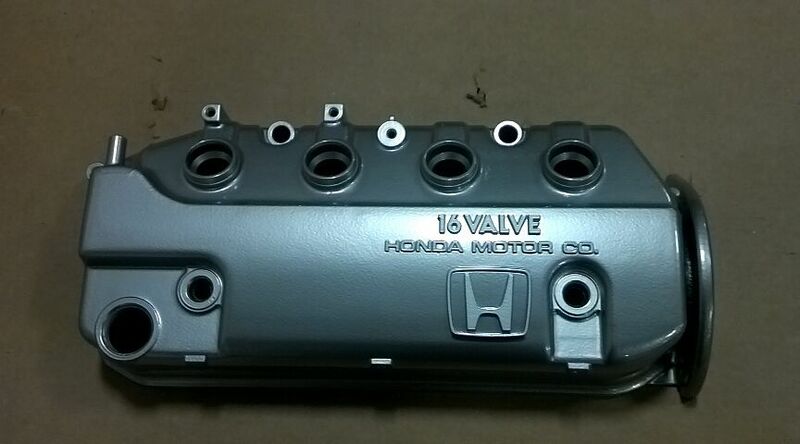 Powder coating is not just for wheels and valve covers. It can play a huge role in your entire restoration. There are hundreds of small parts that go into a car that don’t justify all the time and money using a paint gun. 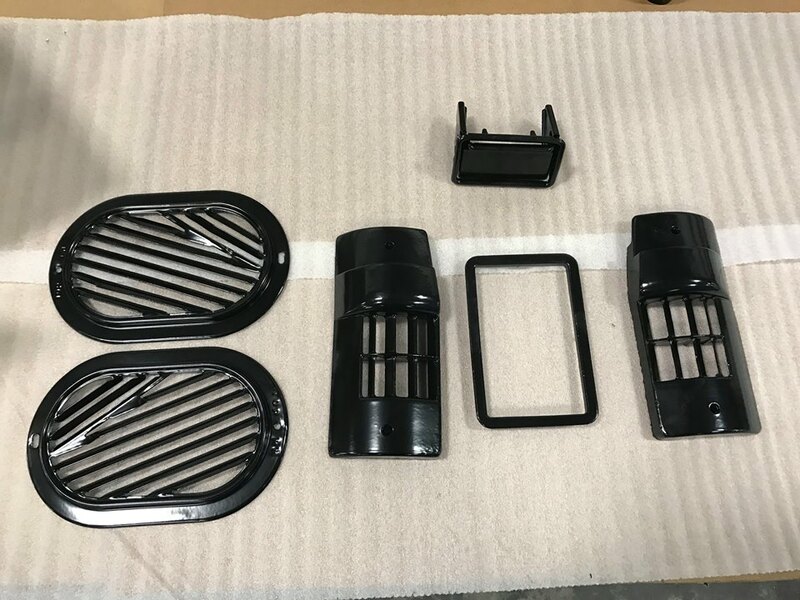 Powder coating is the easiest way to get a whole lot of your parts all painted at once with a chip resistant long lasting finish in one batch. Get A Free Auto Parts Quote!